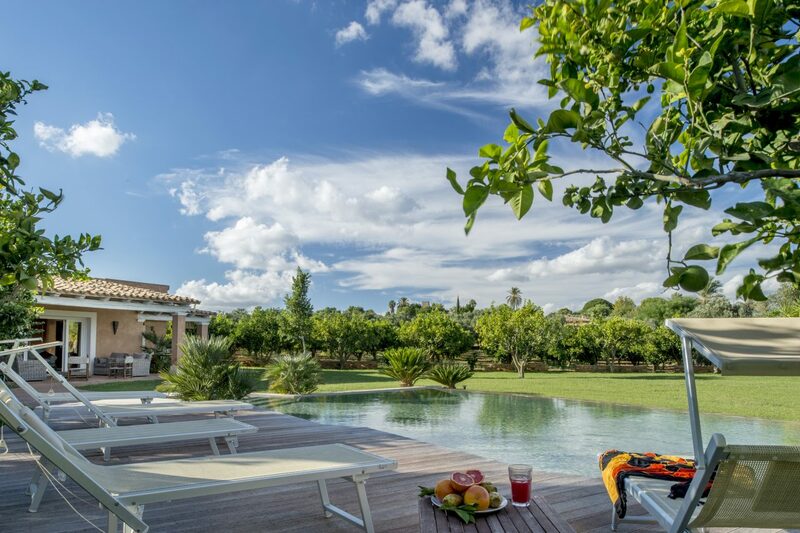 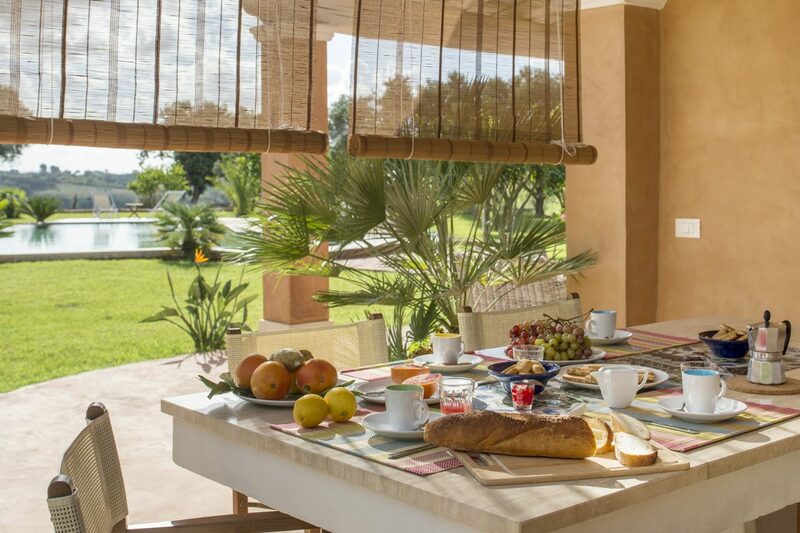 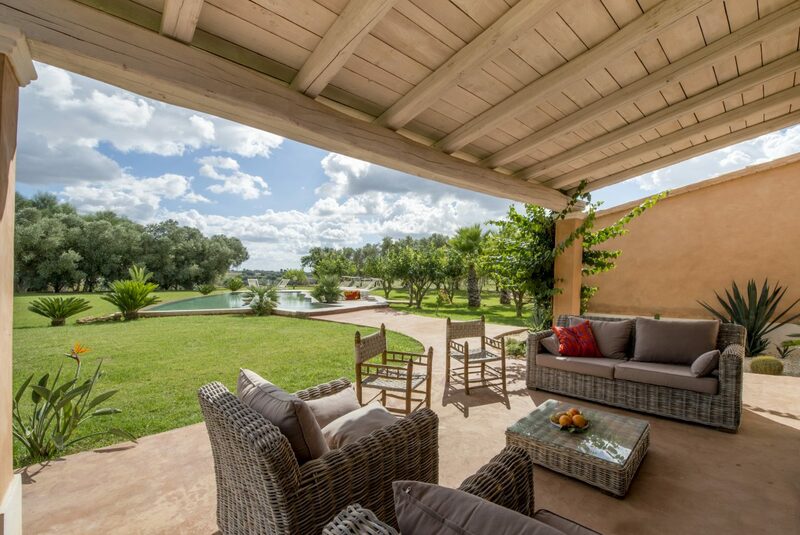 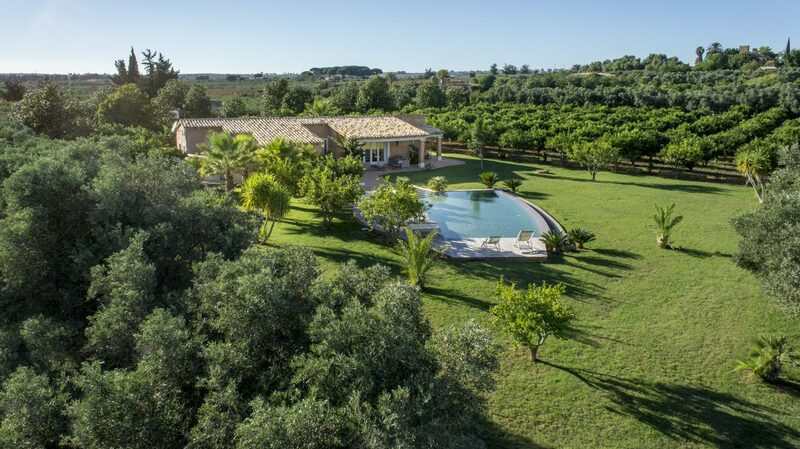 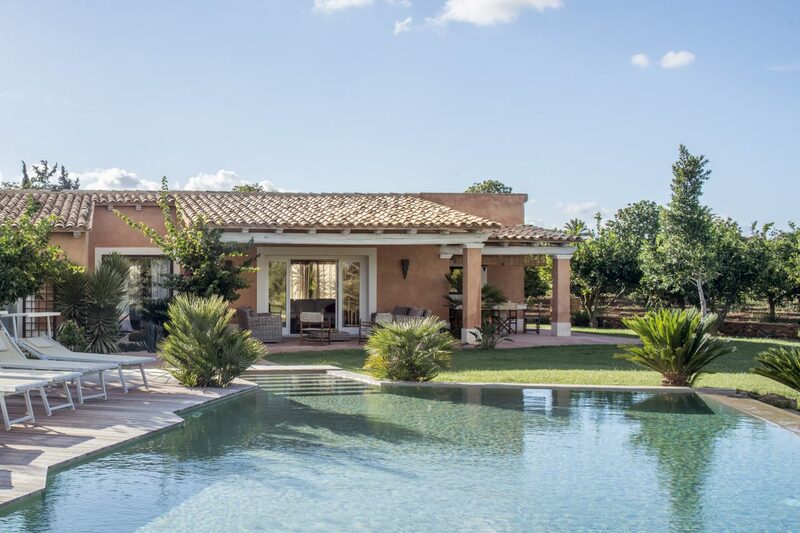 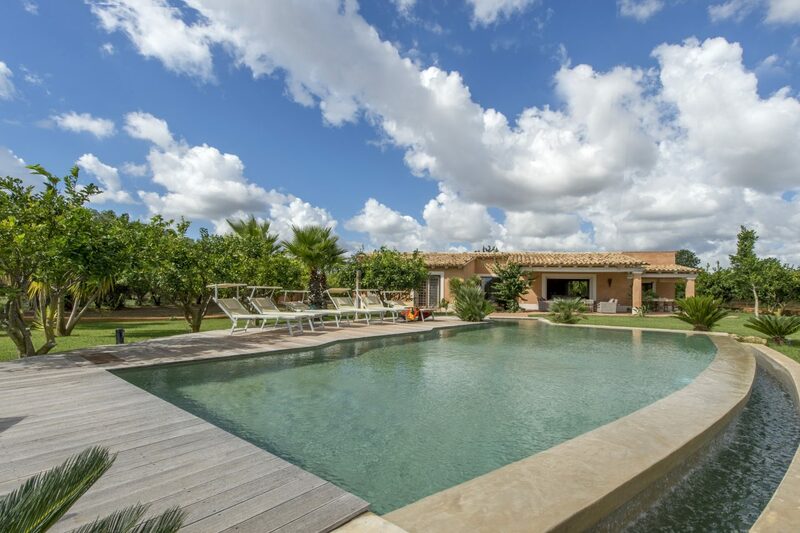 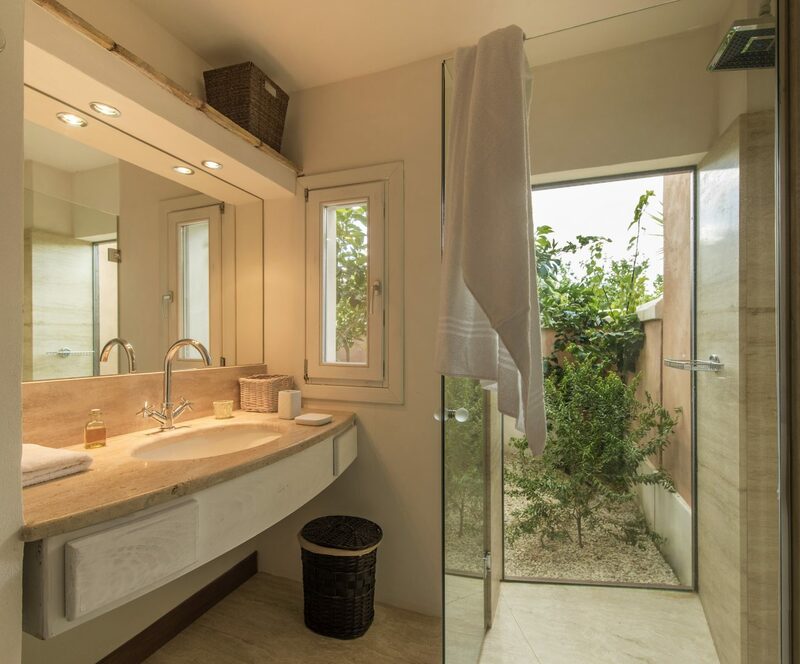 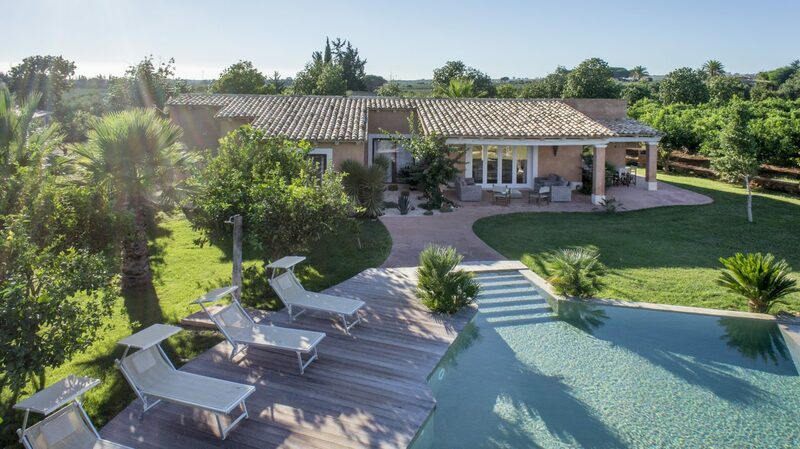 Villa Orangerie is set within a large estate deep within citrus and olive groves and it is the perfect example of functionality and good taste in an oasis free of acoustic and air pollution. 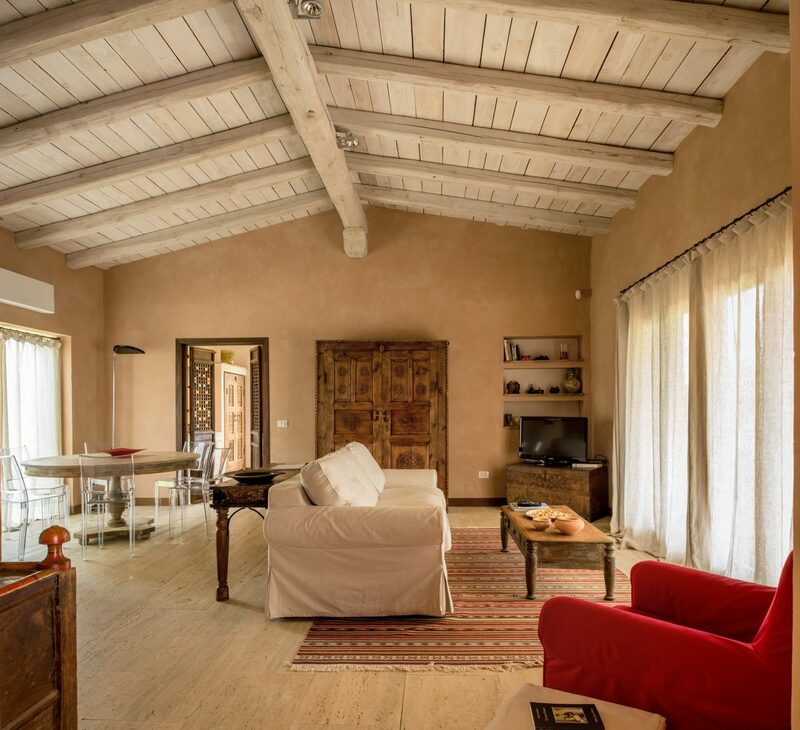 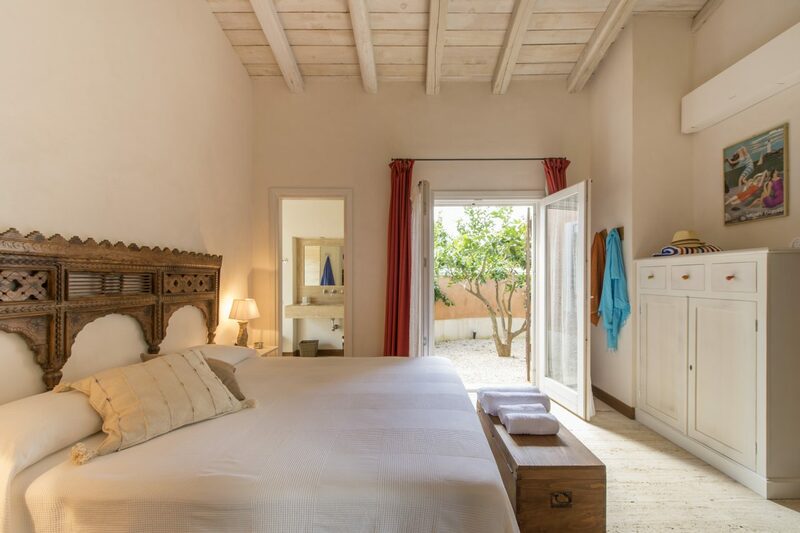 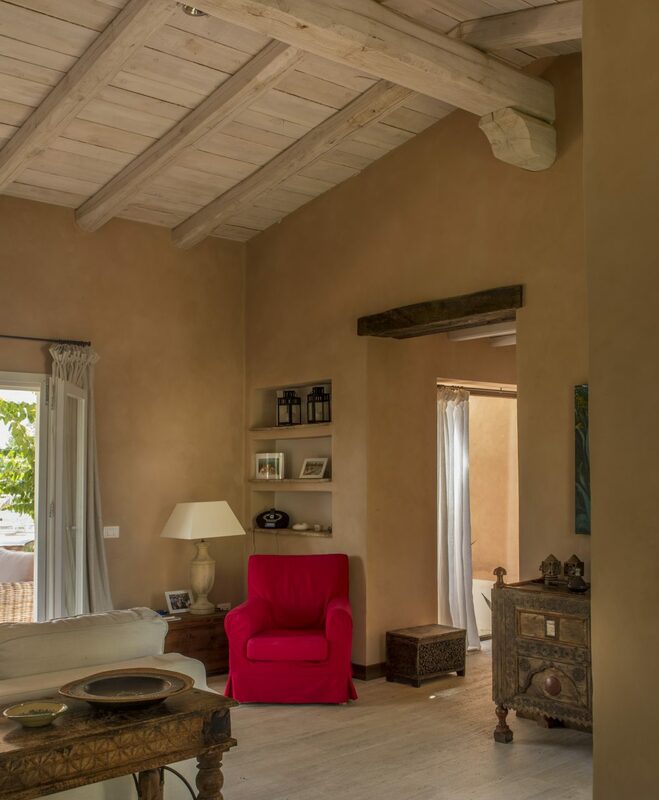 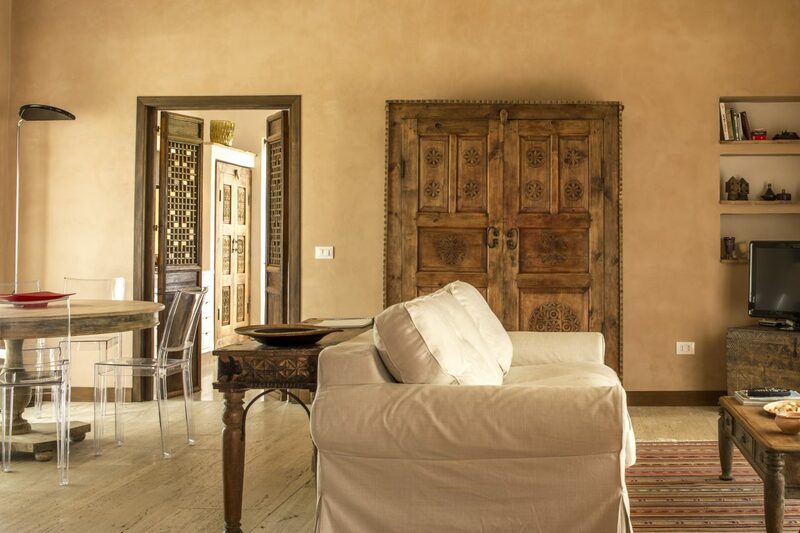 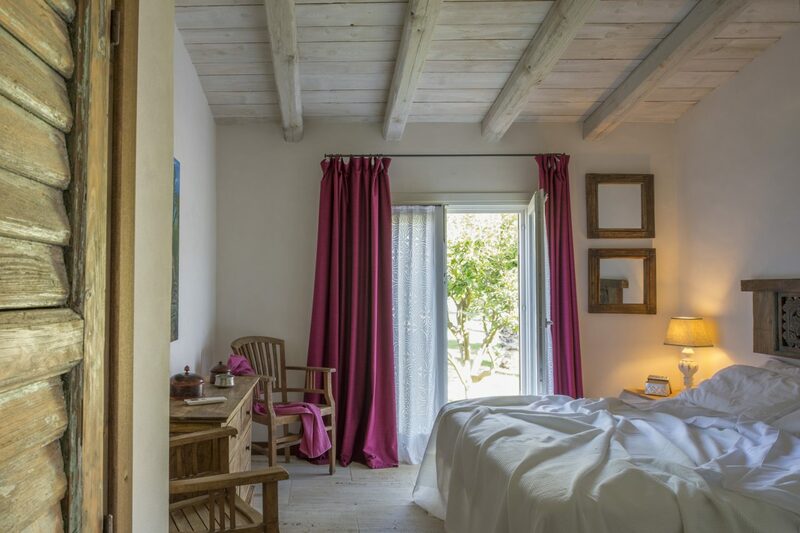 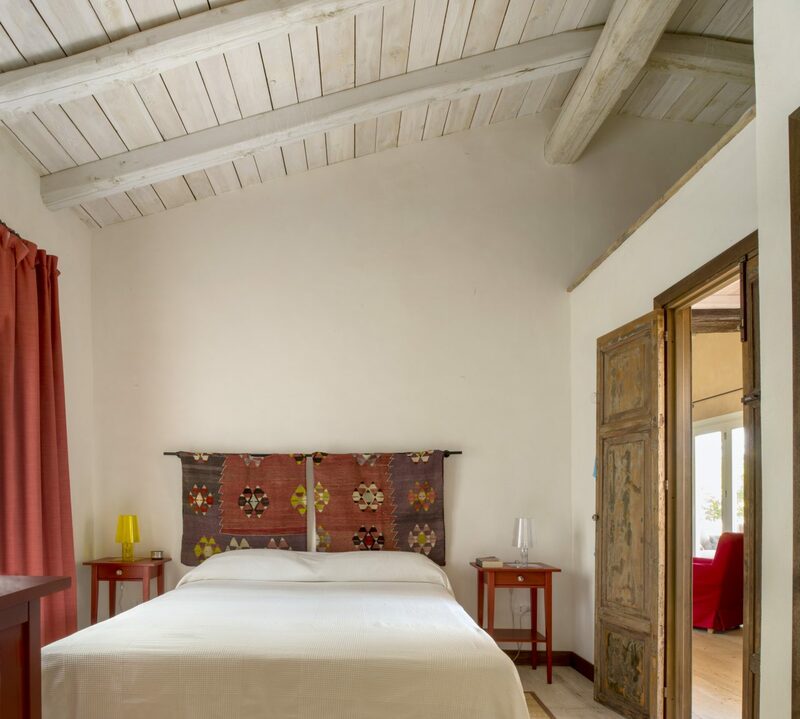 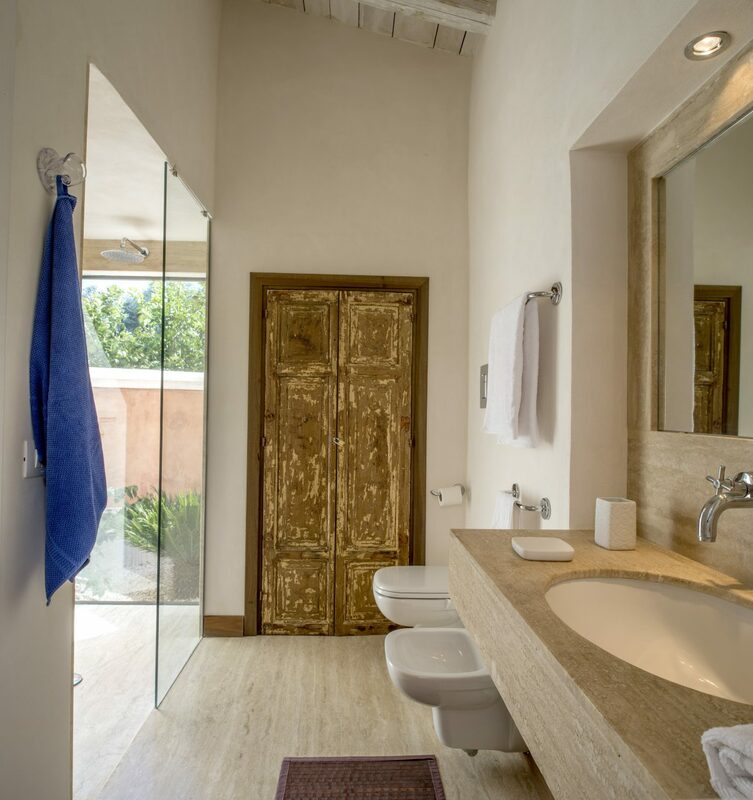 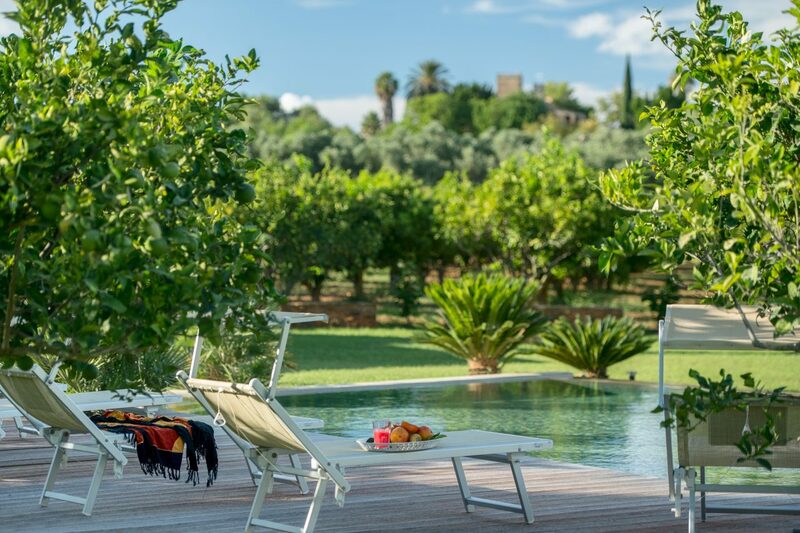 An exclusive abode where relaxing beneath the fine porticoes and simply contemplating the luxuriant garden and splendid, distinctively shaped swimming pool is enough to get a feel both of the Sicilian countryside and an exclusive holiday. 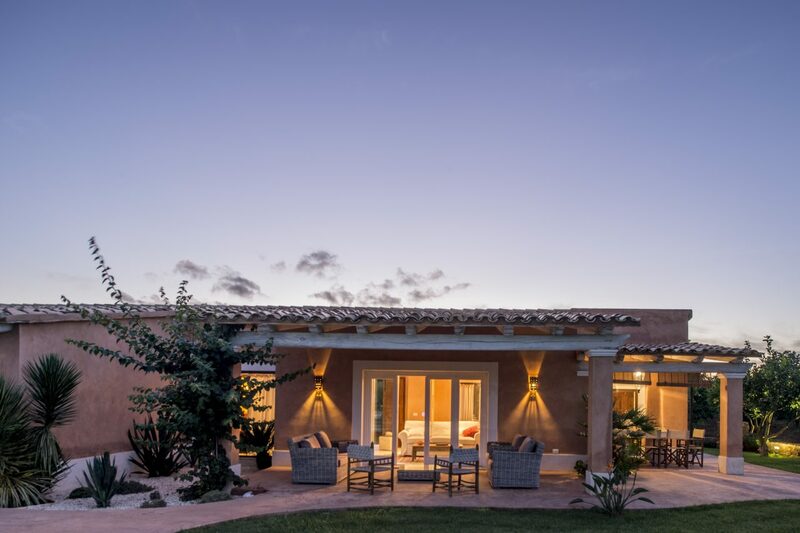 A large, finely-furnished living and dining area connects directly to the main portico and is the heart of the house. 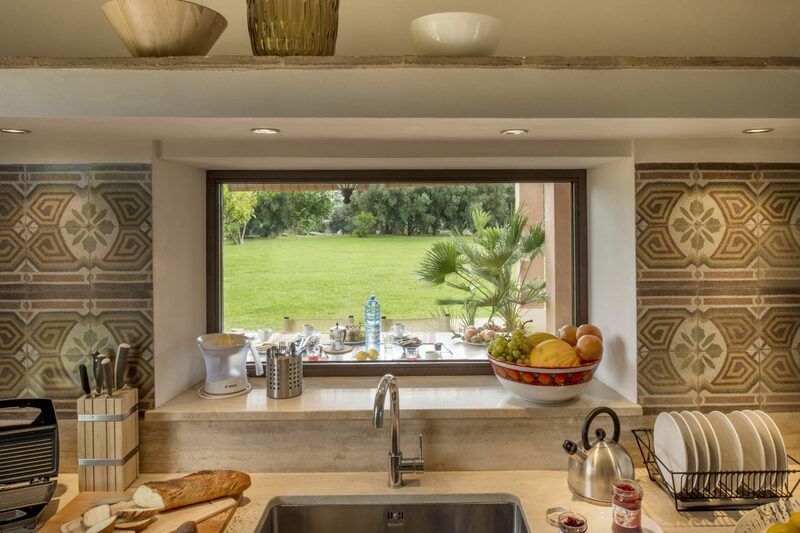 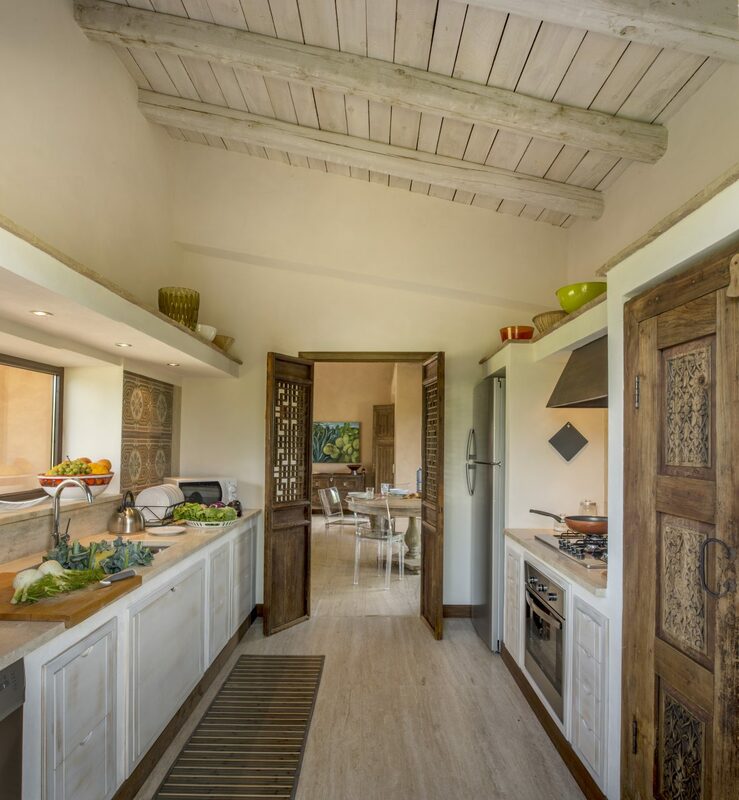 The adjoining fully equipped built-in and traditionally Sicilian-tiled kitchen connects directly both inside and out. 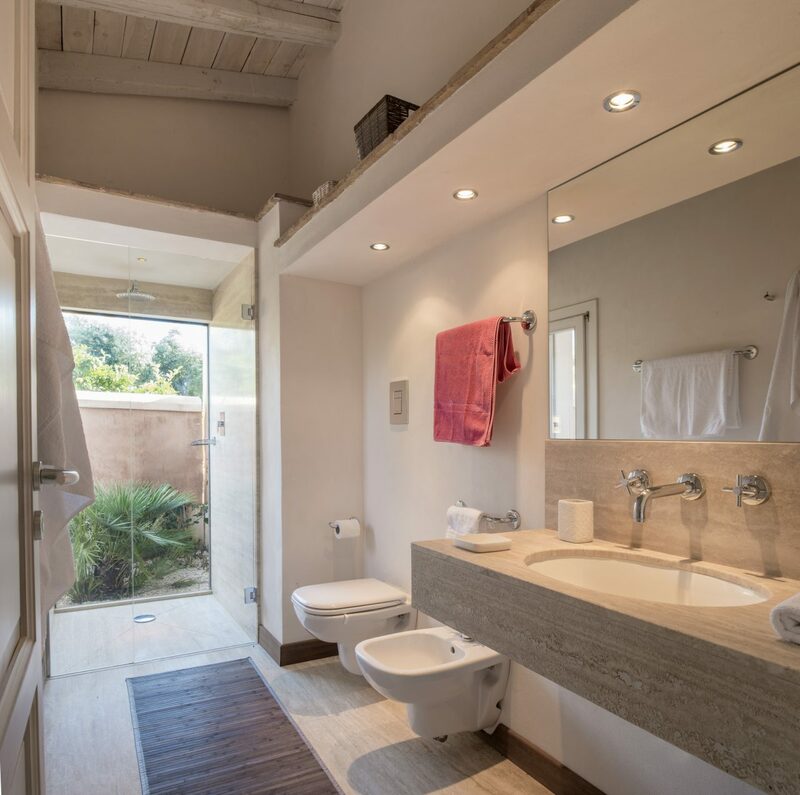 Three double en-suite bedrooms with shower lead off the living area. 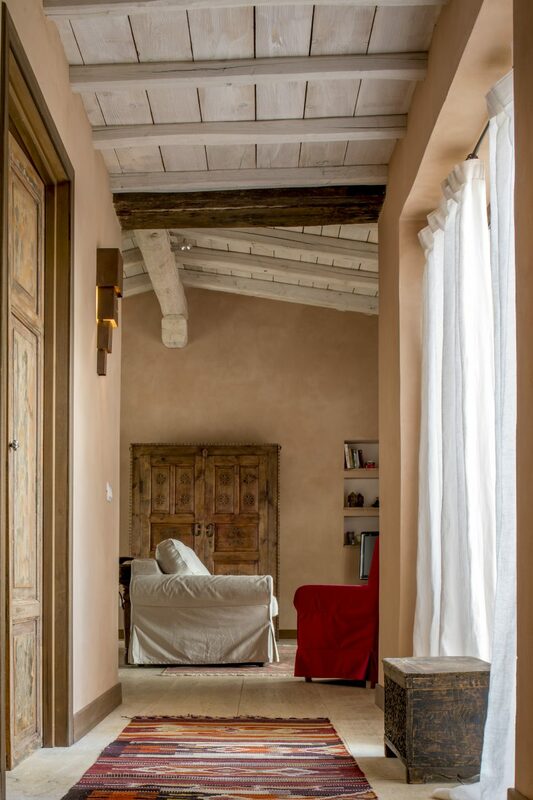 Large picture windows make all rooms bright, breezy and particularly relaxing. 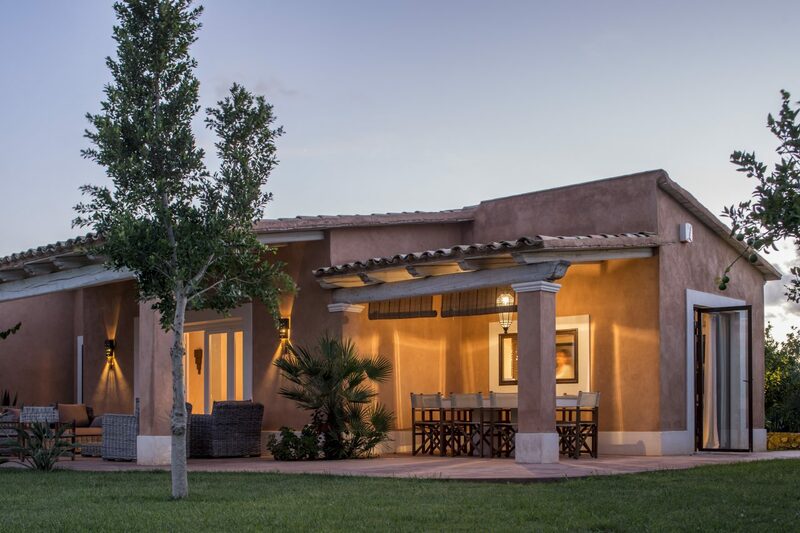 A short drive through the estate’s citrus groves brings you to ample reserved parking for three cars, from here you reach the simple, elegant façade and main entrance. 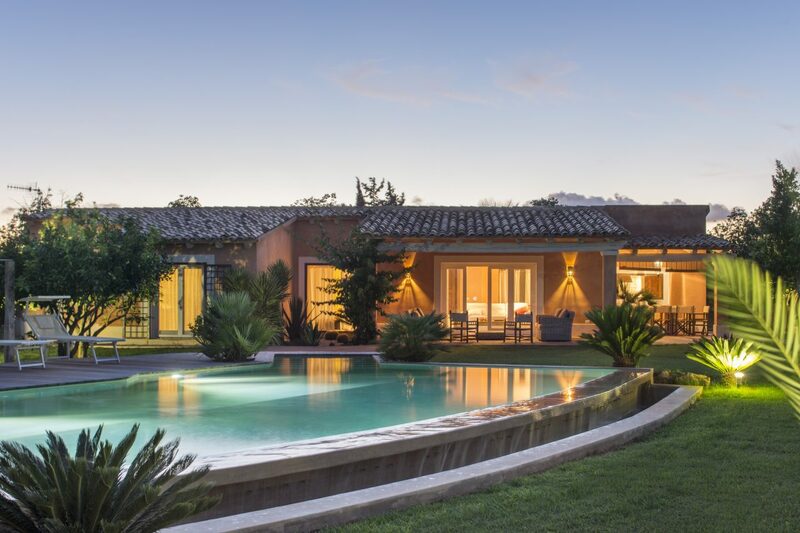 Two porticoes, one for dining and barbecues the other for conversation both give onto the large lawn, interrupted only by the blue waters of the infinity pool framed by characteristic, dry-stone walls. 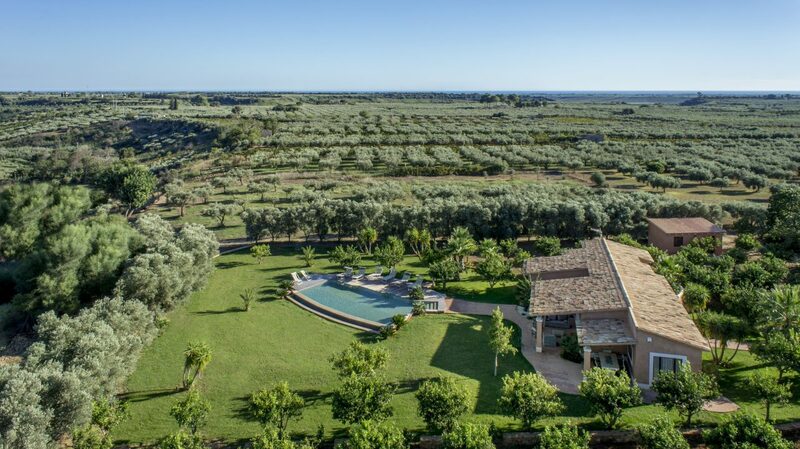 The view extends to the valley below as far as the seashore. 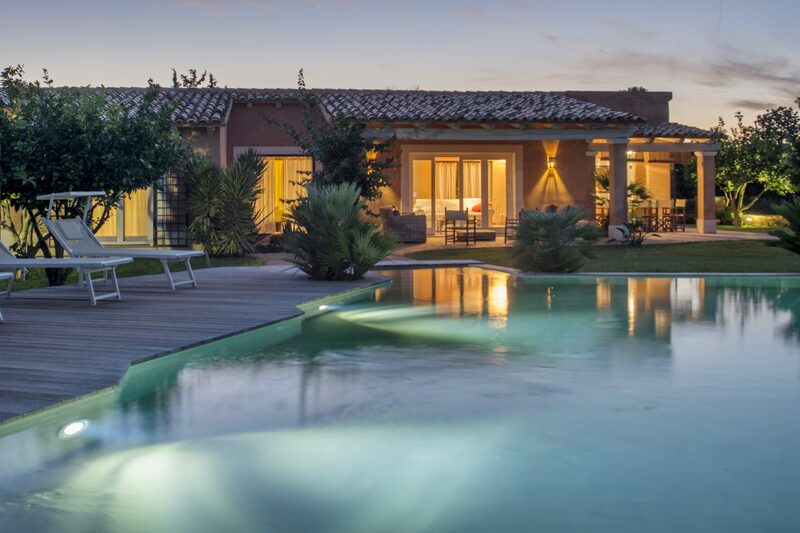 6 pers. 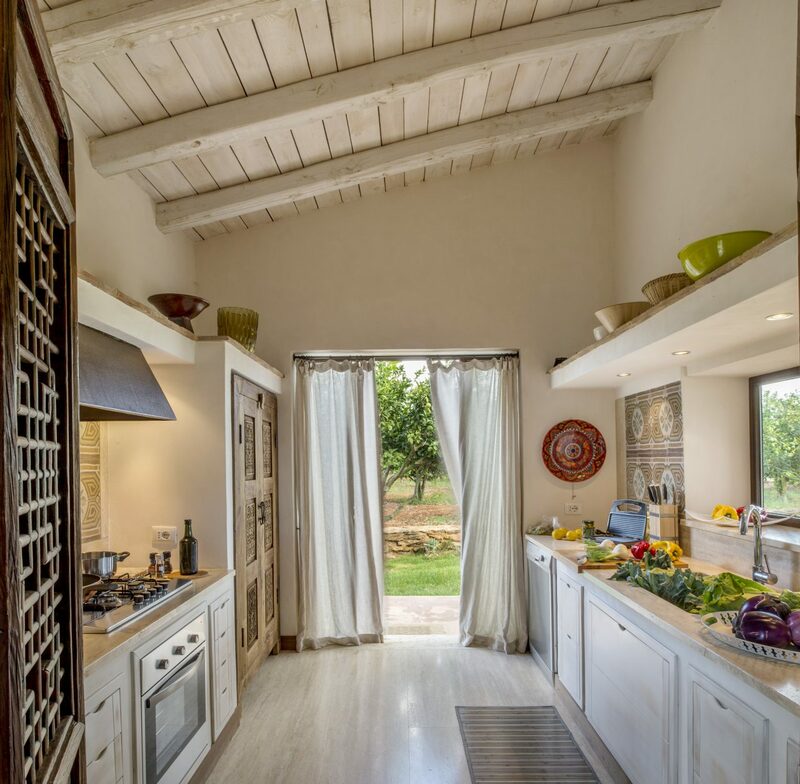 – 140 sq.m. 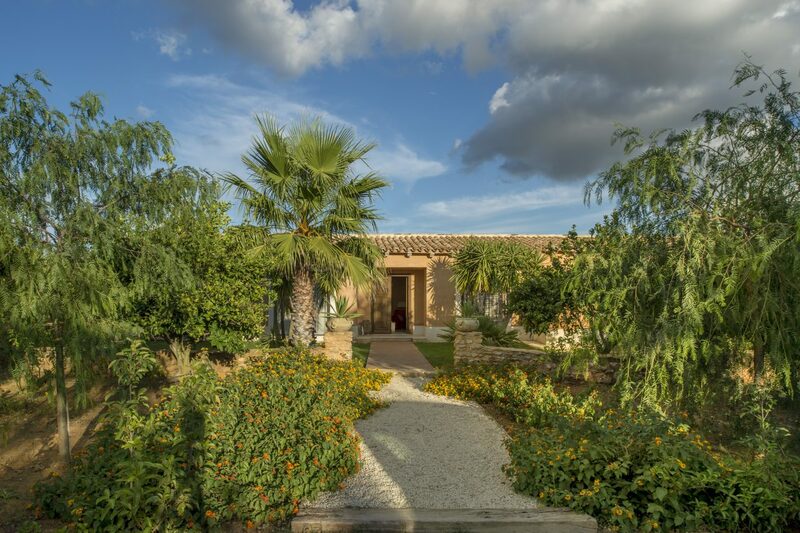 Large living/dining room; large kitchen, 3 double bedrooms each with en-suite shower/wc, large covered terraces.